Are water leaks wreaking havoc to your home, property or workplace? Say goodbye to costly, difficult and hazardous methods of detecting water leaks. If you’re thinking of calling a plumber to save costs, think again. pipes and the foul odor pose a serious health threat to everyone around. If you’ve been digging for hours without any success, stop right now before causing any more damage! All you need is our professional water leak detection services. Water Leak Detectors expertly identifies hidden leaks using nothing less than state-of-the-art equipment. We keep abreast with scientific advancements in water leak detection methods. And we always upgrade to the latest technology and equipment. So when you call us to identify a leak, rest assured we’re using the best equipment possible. They not only facilitate the task, but also help protect and preserve your property. In detecting leaks in your home or office, we use the latest thermal imaging machine, ultrasound equipment and hydrogen gas systems. We have all the necessary tools and equipment that do away with the need for digging. Thermal imaging utilizes infrared. Itdetects temperature variances and shows an electromagnetic image of your property. So if you have leaks deep in your walls and floors, thermal imaging is able to detect these quickly and accurately. Ultrasound technology leverages the differences in sound frequency emitted by leaking pressurized pipes. Our ultrasound equipment enables us to accurately detect the location and the type of leak specific to the frequency. Hydrogen gas systems make use of hydrogen gas introduced into your pipe or irrigation system. Hydrogen being the tiniest and lightest molecule is picked up by a sensitive detector as it escapes from the pipes. It helps us uncover the minutest leaks with great precision. Digital camera detection allows us to detect leaking pipes underwater. It’s a highly effective method that uses LED light that flashes when a leak is detected. We have trained technicians who are highly skilled and thoroughly in using these devices. Now, you can put your worries aside. Water Leak Detectors offer an effective and comprehensive solution to your water leak problems. Our methods are fast, hassle-free and leave no damage to your home or building. 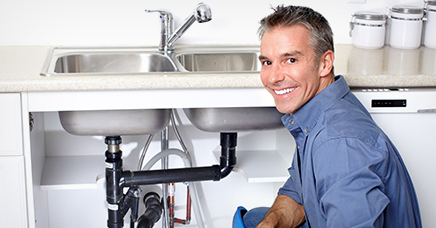 Get immediate water leak detection services in Melbourne. Call us today!